Doina holds a Bachelor degree in Journalism and Mass Media Communication at Moldova State University. She started to work as a journalist at at the very popular Moldovan local news website UNIMEDIA, writing articles and conducting interviews and video reports on social, political, cultural and gender equality issues. 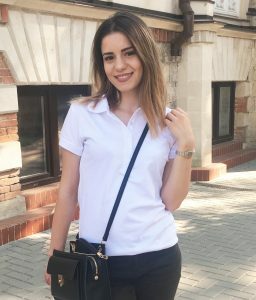 Currently, she works as a reporter for the Romanian National Television TVR, in Moldova, where I present the realities and social problems of Moldova.